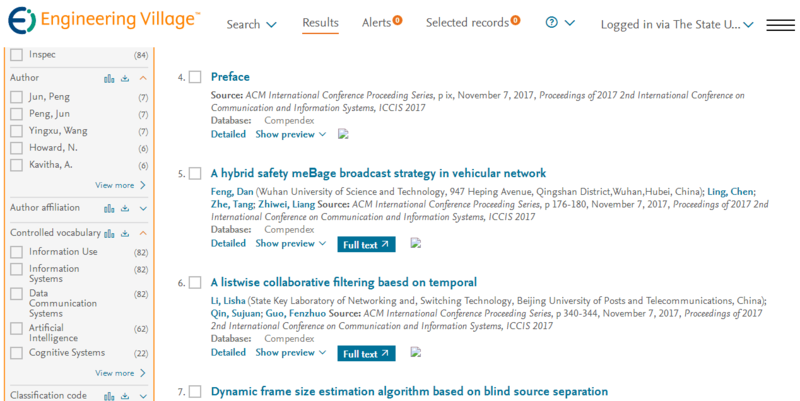 Accepted papers in ICCIS 2018 Conference Proceedings has been indexed by Scopus already. ICCIS 2019 conference will be held in Wuhan, China on December 21-23, 2019. ICCIS 2017 Conference Proceedings has been indexed by Scopus. ICCIS 2017 Conference Proceedings has been indexed by Ei Compendex. March 31, 2018! ICCIS 2018 Online. ICCIS 2018 will be held on December 28-30 in Singapore. March 29, 2018! ICCIS 2017 Proceedings Online. November 10, 2017! ICCIS 2017 has been held successfully.